You know what I love even more than crochet flowers? Crochet ruffles! This piece is a stunning way to differentiate your special little lady with a bit of flare. Works up quickly and can work with almost any outfit. 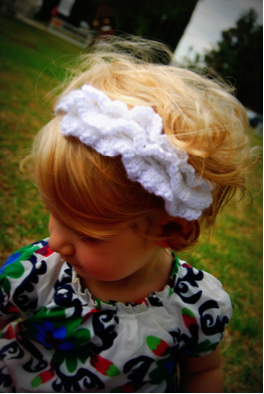 I’d recommend using a natural fiber (especially cotton or a cotton blend for both structure and softness) - this version is adjustable with buttonholes to grow with your little one.